As you will likely be aware, the content area of your site is where your main web site content will go. That is, where your unique content will be placed. Using the web site design editor you are able to choose the Default Font, Font Style, and Font Sizefor your site, as well as a few further options too. 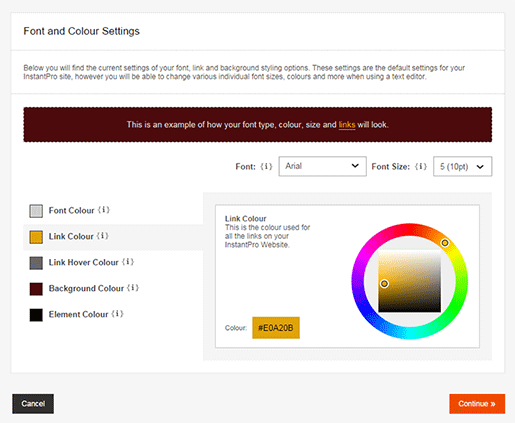 To begin editing the content area click the Edit Fonts, Colours & Styling button shown in the highlighted area on the image above. 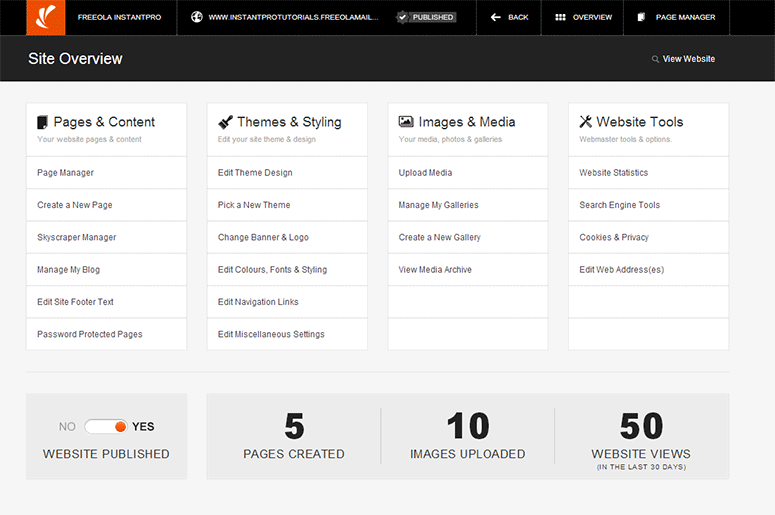 When you begin editing the settings for the content area, you will have a number of options which you are able to define. Font & Font Size: You can change these by using the drop down menus. This is above the box you are shown as a working example of how your changes will impact the content on your site. Each time you make a change to the colours on this page, the example will update to show you the effect the changes will have. Font can be changed using the drop down menu and is Arial by default, but you are able to make your choice as required. Font Size can be changed using the dropdown from the default of 5 (10pt) text. Any changes you make here will be reflected in the example text above. Colours: You are next able to define the Colours used for text on your site. Font Colour allows you to choose the colour in which text will be presented on your web site. Link Colour allows you to define the colour in which Hyperlinks appear on your pages. Link Hover Colour can be defined so that when links on your pages are hovered over by the mouse cursor, the link will change colour, which in some cases makes the link clearer to the site user. You will have likely noticed that links on the tutorial pages change colour when you hover over them. This is achieved by using this kind of feature. 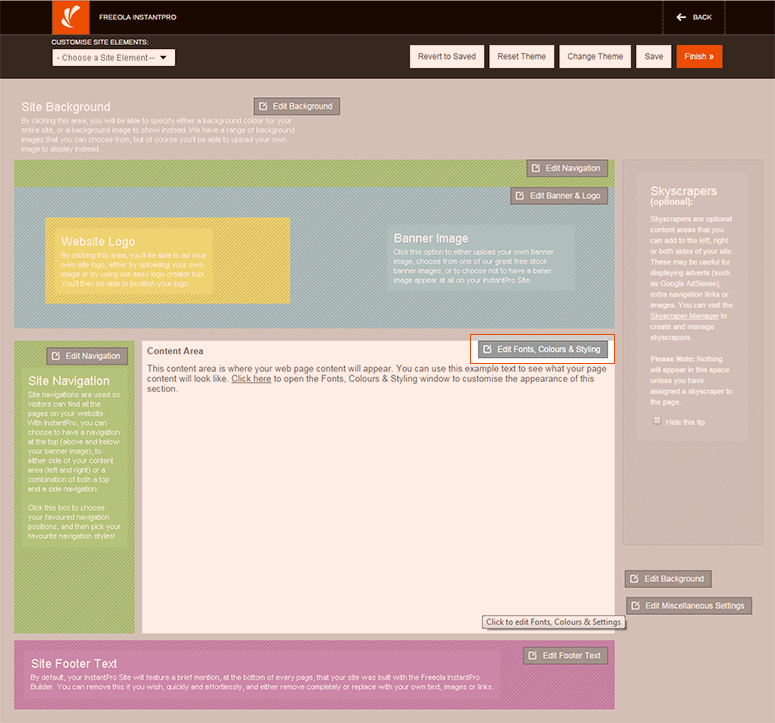 Background Colour which will define the default background colour of your site's Main Content Area. Element Colour. This will set the default colour for elements such as Borders or Horizontal Rules which you might add to your pages. 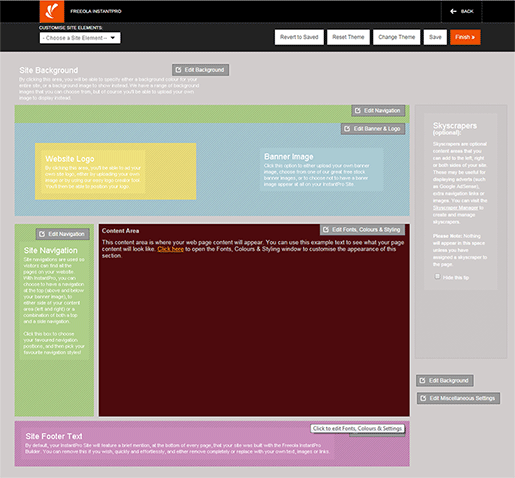 You can continue to experiment with different colour settings until you find those that are right for your web site. If you wish to change these options, just click the Edit button as described in the first part of this section and you will be able to edit your existing settings.